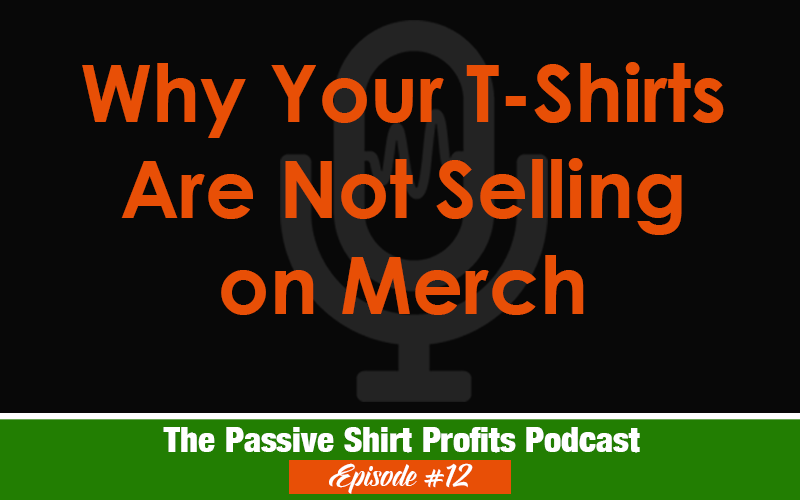 In this episode I will be sharing a few mistakes I see people making on their shirts. Hopefully you’ll have a few a-ha moments! If you are enrolled in my Boot Camp course, make sure you reach out to me if you’d like for me to review your shirts. I guarantee you are making a common mistake that’s keeping you from selling. Hi Lisa, I just got accepted into the Merch by Amazon programme and I have been listening to your podcast (this one in particular). I want to know what your process for finding niches is and how you narrow down to the niches within the niche that are selling. Thanks. I have my own BSR numbers and number of pages of competition for each search result when searching Amazon for niches I select, but that’s what I reveal in my course so it wouldn’t be fair to students who paid to reveal my specific strategies. But when you do it right, you don’t even need to fill out the bullets. I’ve been testing and selling a few shirts lately with no bullets or description. It’s all in the title and narrowing down. But I usually just have ideas for niches and then I do keyword research on Amazon to see how competitive the keyword is based on the results I see.